CAMARADERIE FARM BB WRATH - Top Flight Farms Inc. This little polled gold buck came to our herd by a lucky chance. 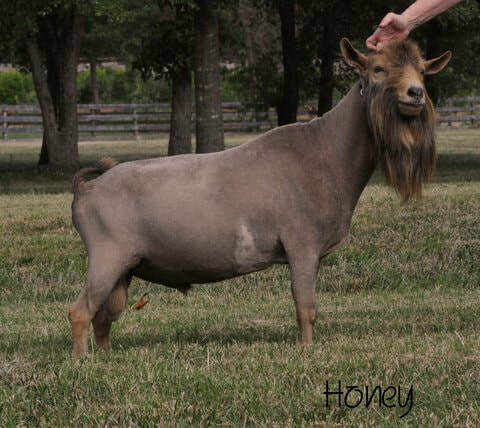 His genetic line reads like a who's who in the goat world. Drops of Honey, Drops of Jupiter and Dumplin. The icing on the cake was he is a son of one of the last daughters of Baywatch.